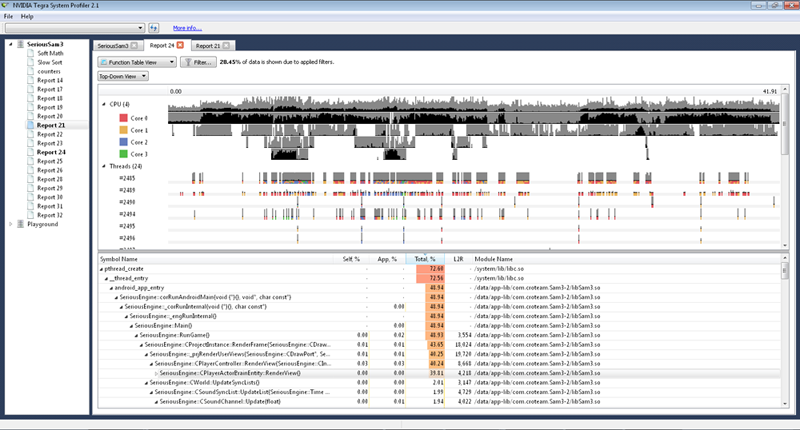 NVIDIA System Profiler (formerly Tegra System Profiler) is a system trace and multi-core CPU call stack sampling profiler, providing an interactive view of system behavior to help you optimize application performance. Available on Windows, Linux, or MacOSX host platforms and Tegra-based target platforms. Download the latest version of NVIDIA System Profiler for Android in CodeWorks for Android. NVIDIA System Profiler is offered free of charge, but requires NVIDIA Registered Developer Program membership.